 This examination is being given to fill one vacancy in the Diagnostics Imaging Department at San Joaquin General Hospital and to establish an eligible list to fill future vacancies. Resumes will not be accepted in lieu of an application. A completed application must be postmarked or received online by the final filing deadline. The ideal candidate will possess ARRT (R) (MR) certification, Radiologic Technologist certification in the State of California or ARMRIT certification. Additionally, this candidate will be highly proficient in performing MRI and MRA procedures. Assists radiologist or other physician performing examinations; calculates, prepares, and administers dosages of pharmaceutical; prepares and positions patients for display of body area to be studied; positions machine; adjusts controls to produce products of required diagnostic quality. Performs fluoroscopic x-ray examinations; assembles equipment; measures and mixes barium and contrast media; maintains observes patient reaction for signs of distress; performs radiographs during and following examinations. Prepares rooms for fluoroscopic x-ray examinations and mammography examinations. Conducts special complex imaging procedures such as angiography, CT scanning, cardiac catheterization and arthrography. Instructs and prepares patients for diagnostic imaging procedures; selects appropriate equipment and determines most suitable anatomical positions and shields patients accordingly. Operate a variety of special equipment, such as closed circuit television monitors, power injectors, and rapid film changers; prepares especially equipped rooms for scheduled examinations; operates mobile equipment in other areas of the hospital, and satellite clinics. Records patient information, patient identification numbers, and number and type of view taken in-patient log; may maintain records as required. Demonstrates all procedures to students and technicians; monitors trainee's performance of procedures; corrects faulty techniques and explains appropriate methods. May serve as lead workers; may prepare staff schedules; may assign and review the work of Radiologic technologists, students and clerical staff. Experience: Two years experience performing diagnostic imaging in an acute care facility or medical clinical setting. Must have experience and demonstrate competency in radiography, fluoroscopy, CT scanning or special procedures such as MRI, MRA and associated MR studies. Experience with imaging studies such as MRI, MRA and associated MR studies are highly preferred. Licenses and Certificates: Registration with the American Registry of Radiologic Technologists, and certification by the Department of Health, State of California as Radiologic Technologist. Additionally, incumbent is required to demonstrate the ability to obtain a Fluoroscopy permit by completion of a 12 month employment probationary period. Registration with the American Registry of Magnetic Resonance Imaging Technologists (ARMRIT) is also highly desirable and preferred. Special Requirement: Possession of certification as an MRI Technologist may be required with the American Registry of Radiologic Technologist ARRT (MR) or American Registry of Magnetic Resonance Imaging Technologists (ARMRIT). Methods and techniques used in complex and specialized diagnostic radiographic and fluoroscopic examinations; variations of anatomical positioning used in radiography; care and use of x-ray equipment; and safety practices to prevent overexposure to radiation. Position requires sitting, standing, manual dexterity, bending or stooping and lifting of patients; position patients for a variety of imaging examinations including radiography, CT scanning, cardiac catheterization, mammography, fluoroscopy and special procedures; learn a variety of film making and processing equipment; independently produce images; analyze films and evaluate problems; establish and maintain effective relationships with patients, physicians and fellow workers; develop positive patient relations with patients, guests, visitors, and patients' families.